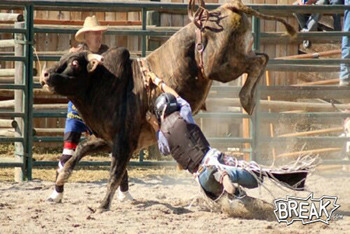 A cowboy mounts a one-ton bull, a horn sounds and the gate opens, the bull charges out of the chute and into a ring surrounded by thousands of spectators and bucks away trying to get the bull rider off his back. It’s known as the most dangerous 8 seconds in sports. The Professional Bull Riding (PBR) World Cup is being held April 16-18th in Las Vegas for the 4th annual World Cup to find the World’s Greatest Bull Rider. There are only 5 countries that participate in the PBR’s “World” Cup, which seems to be a trendy name to try and glorify any event these days (What’s next… The World Cup of Wii Fit?). 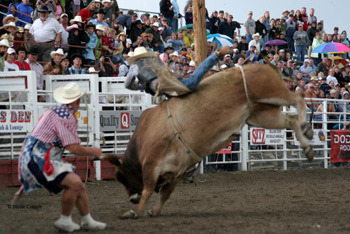 The countries that will particpate are Canada, USA, Mexico, Brazil, and Chile which have all established a rodeo as a major sporting event within their nation where different events determine the skills of a cowboy or cowgirl. 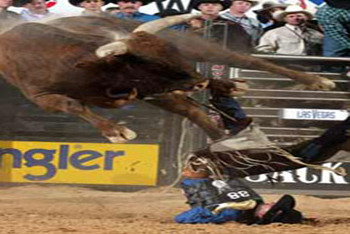 The big event is the Bull Riding, probably because it is so dangerous, and now it sets the stage for a major sporting event. An interesting tidbit to know is that rodeos have been banned in the UK and Netherlands and most other countries have no interest in the events of a rodeo. The PBR is under heavy investigation for their cruelty to animals. 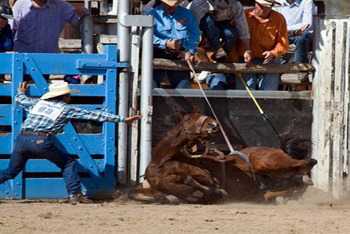 The events that happen at any rodeo aren’t exactly the friendliest way to treat animals. Either they’re making them angry and trying to get them to buck violently or they’re yanking ropes around their necks in a full speed chase. 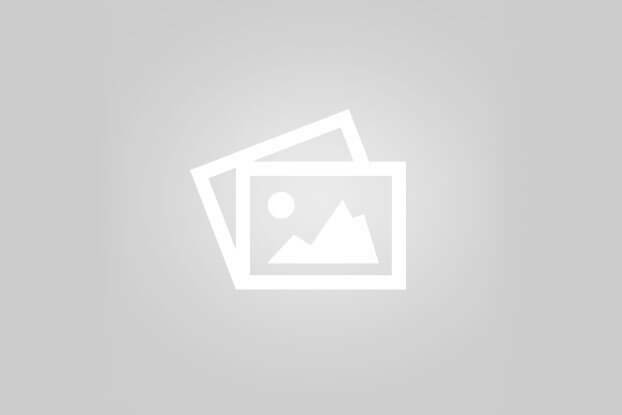 The good news is that many regulations are being put into place at these rodeos. The bad news is that the majority of these animals are always going to be treated very violently. 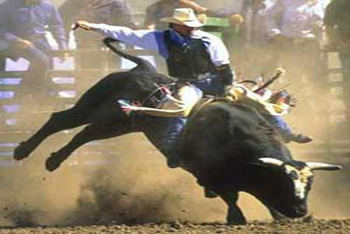 Major companies sponsor the event such as Dickies, Jack Daniels, and Wrangler and a cash award of $100,000 will go to the winning team who stays on the bulls the longest. 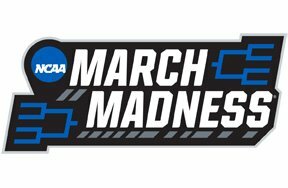 As long as the money stays strong, this event will prosper. Whether you support the event or not, you should voice your opinion to let the “World” know what you think is fair for the animals who have no choice to be a part of this sport. What is your fave farm animal?